This colorful Landscape Structures playground incorporates tons of complex and exciting play features great for motor-planning and muscle activation. This design allows kids to effectively move from one component to the next and navigate from challenge to challenge. When children play together, they develop in ways that they couldn’t on their own. 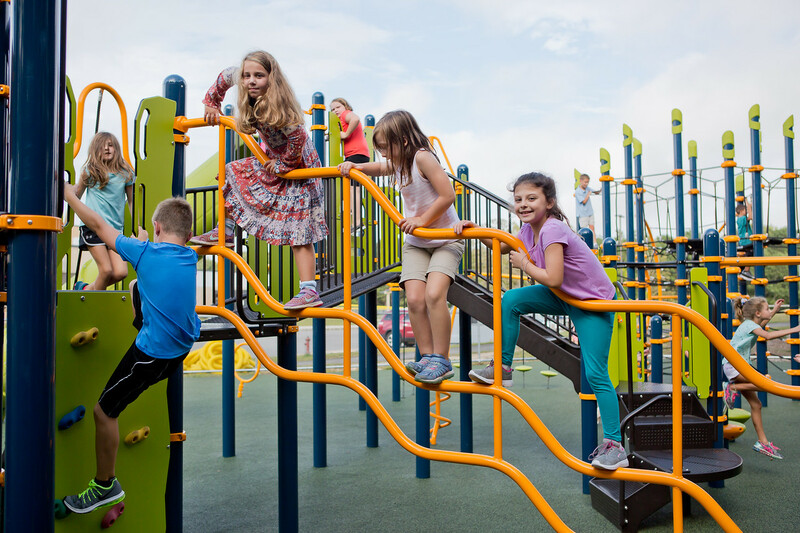 The type of play experienced on a playground lets children mix previous sensory knowledge with new experiences to expand their understanding of the world. Play value and better design matter.